Are you looking for a functional bluray ripper these days? Well, you can go for DVDFab Bluray ripper here as it’s one of the most recommended programs when it comes to best bluray ripper programs in the market. Why so? The post below offers a sizeable review for your convenience. First of all, the program is able to rip any sort of 2D Blu-ray and 3D Blu-ray flicks. The interesting part is that this super powerful and highly advanced bluray ripper software is able to rip irrespective of the date of release. The icing on the cake is that the software would be updated constantly to support the newly released movies. The program supports all the major audio and video formats such as MP4, MP3, DTS, AC3, WAV, AAC, WMA, M4A, MP4, AVI, TS & so on. Thus, it won’t be a problem when you are looking to rip the 2D & 3D Blu-rays into popular video & audio formats. At present, the program supports both 4K & H.265 videos. Then, the DVDFab Bluray ripper is able to customize the audio and video parameters & effect easily- such as frame resolution, bit rate, encoding method, audio channel, aspect ratio & more. Then, you would even be able to adjust the video effect as per your specifications, like resizing & cropping. In regards to the 3D videos, the users would be able to set 3D output format as 3D anaglyph or side-by-side 3D, 2 video streams in single file or 2 separate files. The program even permits you to specify the size of 3D video as full or half with varied output sizes. Then, the DVDFab Bluray ripper comes with super fast ripping & conversion speed. It is compatible with multi-core CPUs, batch conversion & NVIDIA CUDA cutting edge acceleration technology. This is one of the chief reasons behind the high end popularity of the software program in the contemporary tech market. Finally, the DVDFab Bluray ripper (3D Plus) assures a very convenient operation for the users. The software sports a very logical smart design & intuitive user-interface throughout. 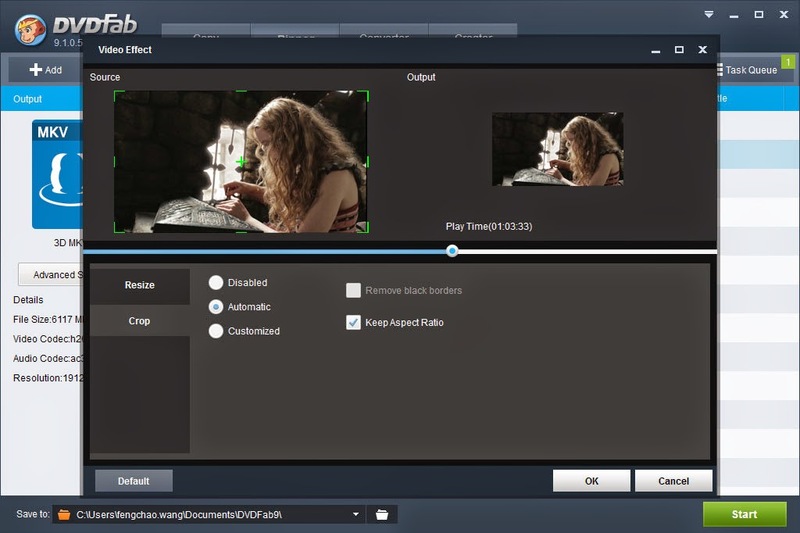 Whether it is source loading or real-time preview or progress monitoring or profile selection or audio/video setting & editing- the DVDFab Bluray ripper is really intuitive for the users. Everything would be handy and convenient, No wonder, the program has garnered rave reviews both from the experts and users. Leawo is also very good! DVDFab is a perfect product and it's very popular.